Collect heat directly from the sun and use it to keep your home warm. This guide has information about solar window heating panel plans. Here in Colorado they are talking about our ulitilies going up by 25 percent. I don't know about you but I can't afford to pay more to heat my home. I have Fibromyalsia and to get cold can knock me off my feet for days at a time. So my husband and I did a search on the internet for something that was cheap, could be made ourselves and could help out with the heating bills. Here we have a lot of days when we do have sunshine so we thought solar would be the way to go. 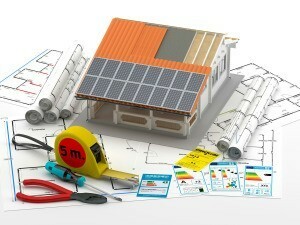 We found this web site and it gives very detailed plans for a solar window heater. Now don't freak out, these plans are very easy. With just a few tools and these plans you can heat a room with a solar heater. Of course these need to be south facing rooms but if you are lucky enough to have a south facing house you may be able to really reduce your heating costs. Hope this helps to keep you all toasty warm for the winter. Thank you so very much for the research that you have done.I am going to put them to great use..................STAY WARM !!!!!!! Quite interesting. Now I can get the materials to make my own. It certainly will help cut the heating bills. Thanks!